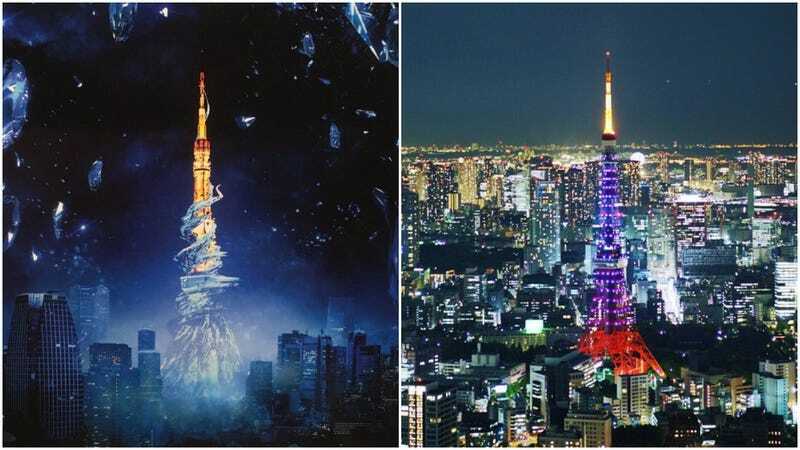 Last Friday, Tokyo Tower was turned into level 50 dungeon Crystal Tower. Typically, it appears an orange-red when lit up, but on April 28, it also illuminated blue to mark Final Fantasy’s 30th anniversary. A special Final Fantasy 30th Premium Store also opened at the foot of Tokyo Tower, selling all sorts of limited goods.